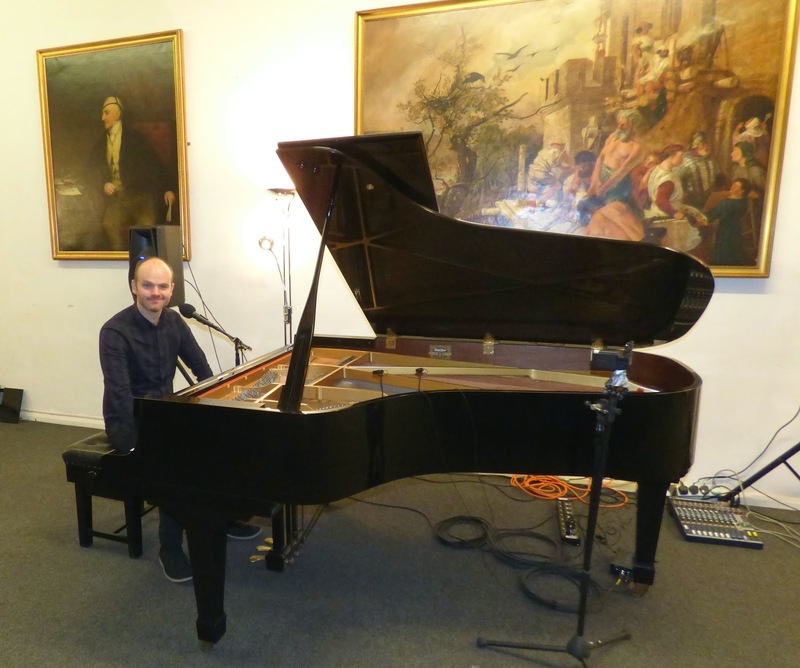 Anything Durham's Gala Theatre can do...yes, there was a full house today at the Lit and Phil for a solo piano concert by Paul Edis. Is one o'clock weekdays the new late night jazz gig? Folk certainly turn out for a one-hour lunchtime set, a cup of tea or coffee, perhaps a glass of wine and, of course, the music. It's Only a Paper Moon, From Nothing to Nowhere (comp. Edis) and Hypnotized (comp. Edis), so that's a Gasbook classic (with vocals!) and two numbers by today's performer, pianist/promoter/producer/educator/juggler Paul Edis, the second of which received its public premiere a couple of weeks ago up the road in Hexham at the Fox Inn during a Triptych (Edis, Paul Susans, Rob Walker) gig. More from the pen of Dr Edis - It Takes Time with another vocal, the tune originally an instrumental for the Paul Edis Sextet titled Rome Wasn't Built in a Day, and Of Mice and Men, not really anything to do with Steinbeck explained Edis, although plenty to do with the American jazz piano tradition from the Dust Bowl 1930s to the present - think Junior Mance, Dr. Billy Taylor and the sanctifying streak running through its veins. One Note Samba contained almost as many notes as this blog (Bebop Spoken Here) has had hits - 3,500,000 and counting! Polka Dots and Moonbeams the ballad, My Favorite Things the selection from the book of Broadway musicals, and Wise Words another selection from the pad of P. Edis. The afternoon's final number - Almost Like Being in Love - featured more singing. Is there no stopping Edis? Apparently not! The vocal style? Not exactly Nat Cole, more like Mose Allison or, for those who know the northeast jazz scene, akin to Gerry Richardson. The piano playing was of the serious jazz kind, indeed throughout the one hour set, the piano playing was never less than superb. And so to the encore. There was always going to be one and Dr. Edis chose to go out on All the Things You Are, singing to boot! An informed member of the audience offered: It's from the musical Very Warm for May. Educated? This was the Literary and Philosophical Society, you know. 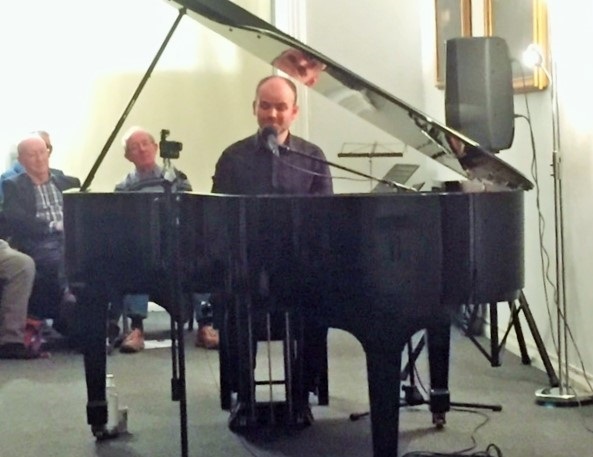 Next month, Friday, October 5, at one o'clock, there is a special occasion when Nikki Iles will be playing the Lit and Phil's Kawai piano in a duo concert with saxophonist Stan Sulzmann. The concert is one of many events during the second Newcastle Festival of Jazz and Improvised Music. Advance tickets - £10 and £8 - are available from the venue.